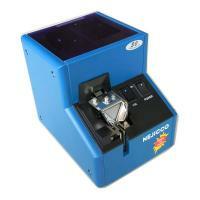 Nejicco Automatic Screw Supplier is an user-friendly tools in each assembly line. Nejicco helps to reduce the workload of labors. The present models include: SAS-514,SAS-517, SAS-520, SAS-523, SAS-526, SAS-530, SAS-535, SAS-540, SAS-550 and SAS-707. From Nejicco’s Magic, your factory will become more tidy and will run more efficient. An excellent electronic tool for production line. Improve the working efficiency significantly. Magic screw feeder make our factory become more clean, more efficient operation. A unit of processing time per screw will be reduced by 1.5 seconds. Acceptable Screw Dipping Speed 1.5 sec./pc.